Customer Journey Management is more than just a system. It is part of your corporate culture. Only from positive experiences and experiences of your customers with your company can profitable long-term customer relationships develop. So much for the simple truth. In practice, however, it is not easy to convince customers with competence, quality and reliability at all touch points of the Customer Journey. And, of course, through friendliness. This is due to shared responsibilities, system breaks or simply to complex processes. 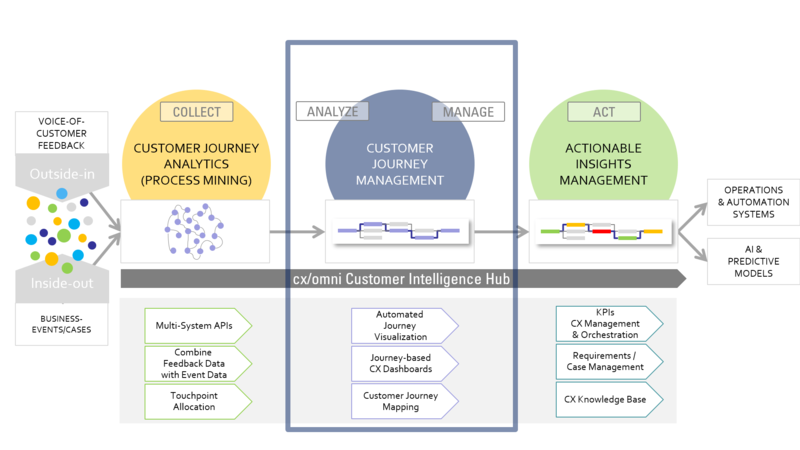 The cx/omni Customer Experience Cloud is the systematic basis for the individual design of your Customer Experience Management and for the establishment of a customer-oriented corporate culture. Visualize data from qualified feedback alongside your transaction data. So bring outside-in data next to inside-out data. Understanding customer journeys – visualizing customer expectations and emotions. And establish a feedback culture within the company.